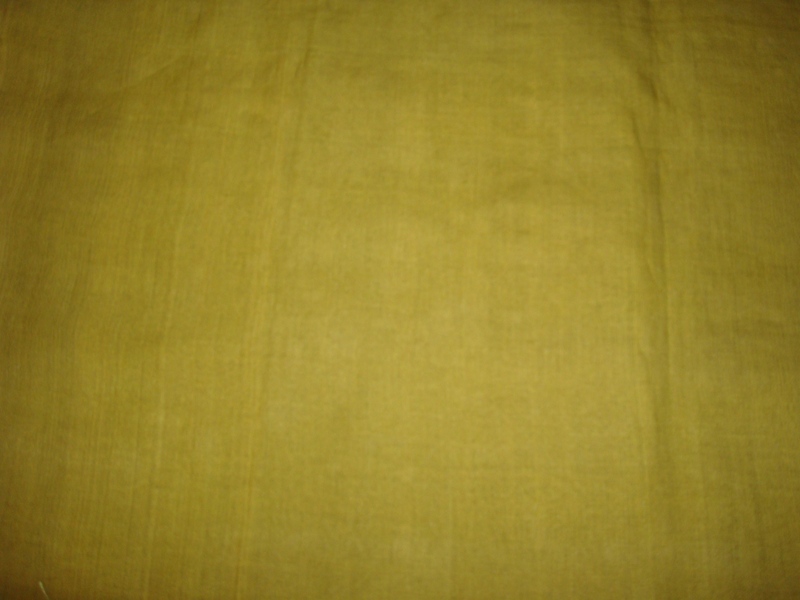 I had two dupattas, a plain green in cotton and brown printed in chanderi cotton. I was not using this green. This piece is a stole and not technically a dupatta. 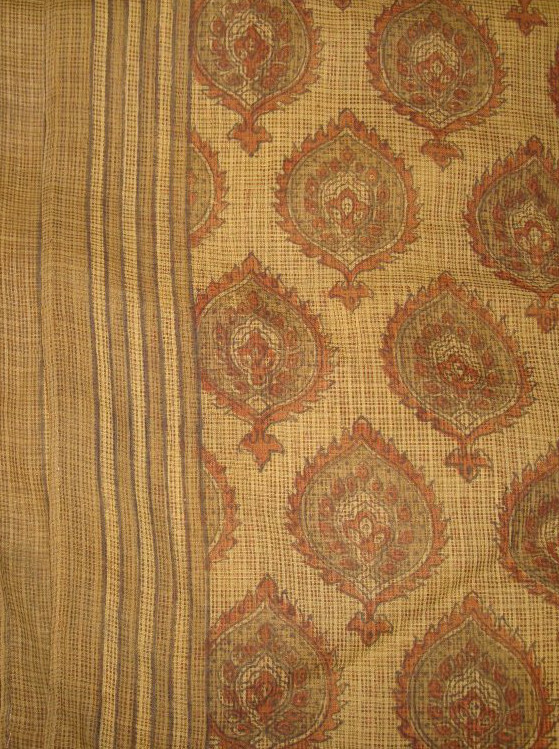 when the green fabric is made into a tunic with a light brown embroidery piece, it might match this brown printed scarf. With this idea a small kutch work design was drawn on graph paper. 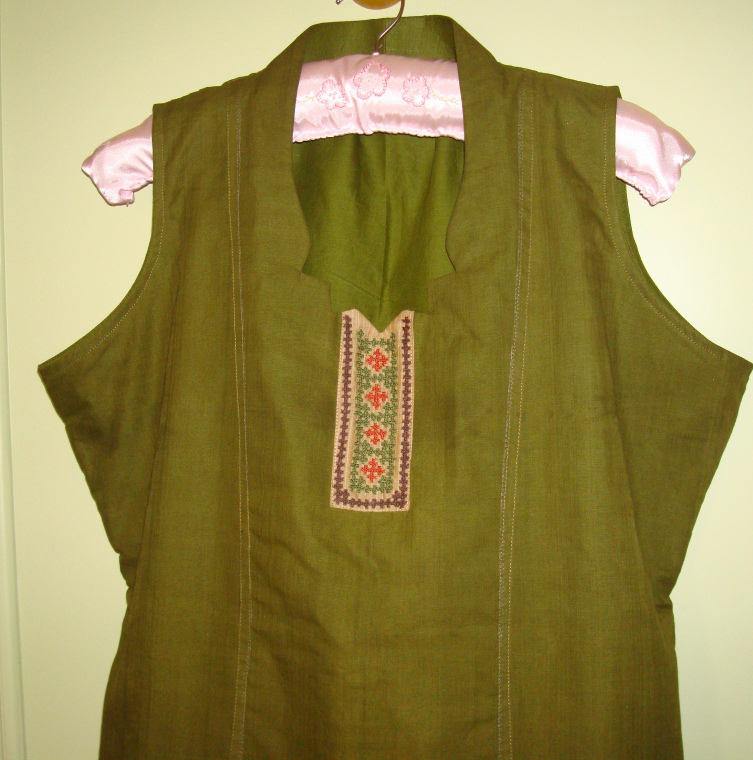 The embroidery was done with three colours. 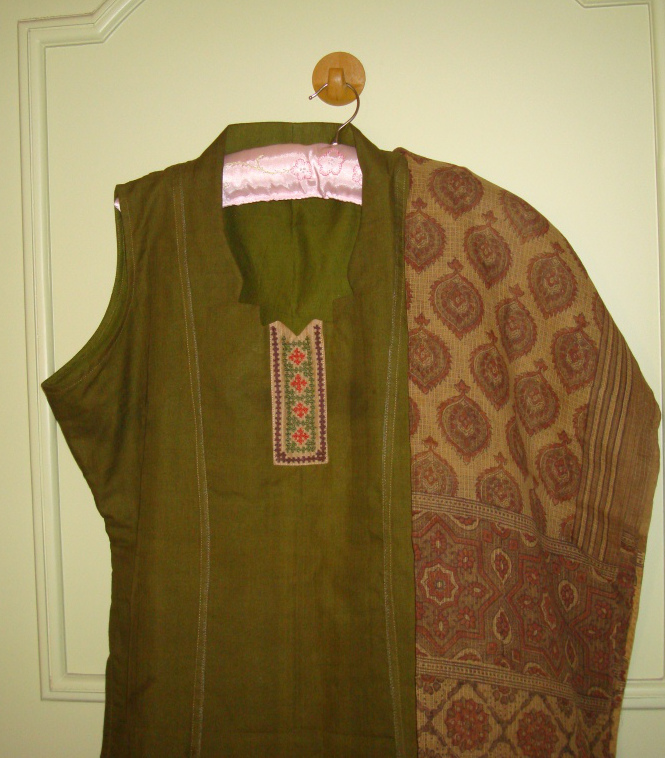 With this lovely tunic, I need a salwar to go with this set, How about it?